How to make your business noticeable in an extremely large industry. The finance, real estate and businesses services sector is South Africa’s biggest, comprising 21.1% of the country’s gross domestic product (GDP). Manufacturing (15.4%) is the second-biggest sector. The South African banking and financial services sector is highly regarded internationally because of a strong regulatory and legal framework. When your SME is part of a R100 billion rand industry, you run the risk of being swallowed up by the sheer numbers…unless you stand out! The question is: How do you make your business noticeable? The answer is: Do not be afraid of the Big Fish! 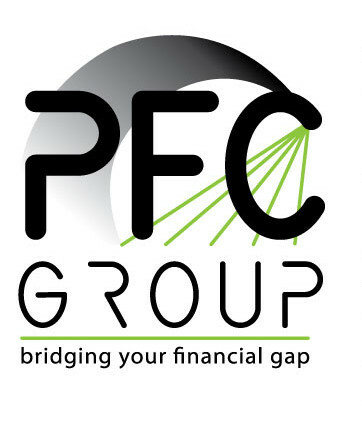 The PFC Group is managed and run by 2 extremely confident, tenacious and knowledgeable women, Antoinette Palm and Linlee Solms. We have researched the private equity market in great depth and we have learnt everything we can about Trade Finance, Debtors Finance, Asset Backed Finance and Property Finance. This is the knowledge factor. Before we enter a meeting with one of our financiers, we prepare ourselves for any and all questions that may come our way, whether it may be about our client (on whose behalf we are meeting) or whether it is about our business. We always have all the answers available so that our multi-million rand funders know that they are dealing with a company that is serious. Our funders are all comfortable with us because our confidence shines through. There is a fine line between being over-bearing and being tenacious! We don’t easily accept “no” as an answer, as we know that there could possibly be another way in which to achieve our goal: securing finance for our client. We do not give up on a worthy client until we are certain that we have exhausted all avenues, and if all else fails, we will try again in 6 months’ time. These 3 factors, confidence, tenacity and knowledge have lead us to a path of success and has made a relatively small business stand out in a huge crowd. Our financiers love us. We are constantly being invited to meetings, presentations, networking events and social events by some of the largest private equity companies in South Africa and all because they know that we are in it for the long haul. Do not be afraid to surround yourself with the major players in your market…their knowledge is invaluable.